The National Independent Inspection team delivers its first inspection reports to the Minister of Social Development, and the Minister representing the Government of Jordan promised to follow the recommendations of the team. 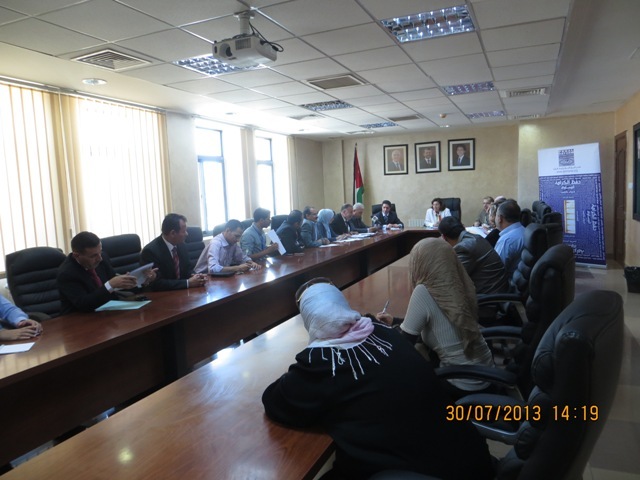 In a press conference organized by Penal Reform International (PRI) and the Ministry of Social Development on July 30th 2013, the Minister of Social Development, Mrs. Reem Abu Hassan, praised this important and needed initiative, that reflects a successful importance cooperation and complementary between the government of Jordan and civil society organizations, represented by PRI, to support human rights and respond to the needs and requirements of vulnerable groups in the society, and also to help improve the services provided by care centers across the kingdom. Her Excellency stressed that the purpose of these reports is reform, and not defamation of these facilities, in order to raise awareness on the inspection and monitoring role in guaranteeing the protection of the rights of marginalized and vulnerable groups. PRI acting director, Haitham Shibli considered this initiative supported by PRI , as an important step in introducing the independent tools of inspection that will encourage the government to take positive steps towards the ratification of the OPCAT convention, he also affirmed on the transparency, neutrality, and professionalism of the reports presented to the ministry from a neutral point of view, and the Minister promised to take the necessary legal or administrative measures to any issues highlighted within one month from receiving the team’s reports.